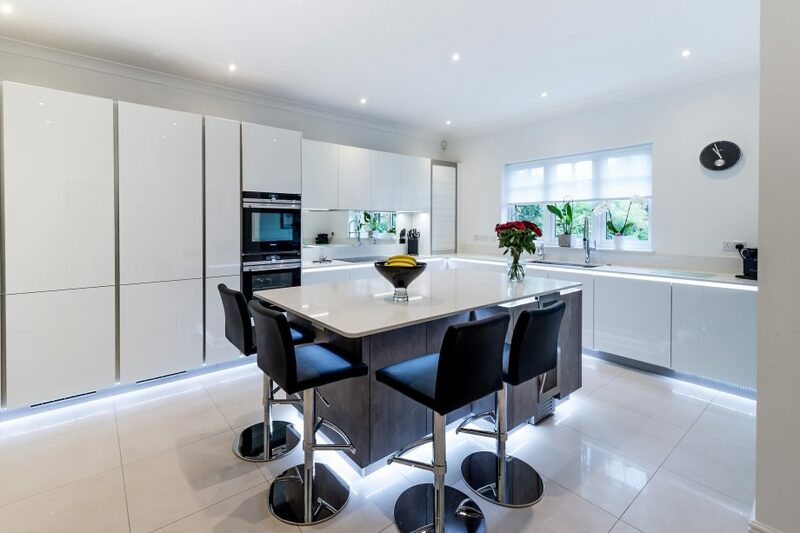 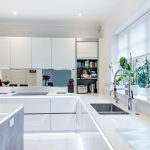 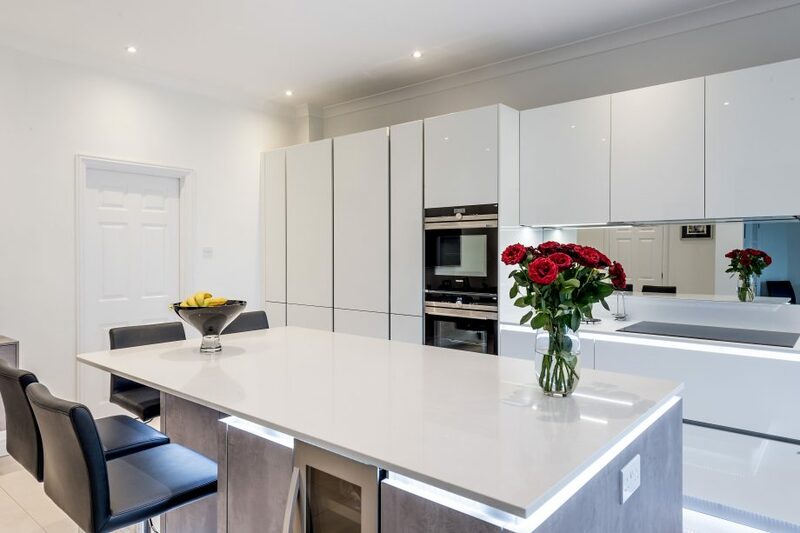 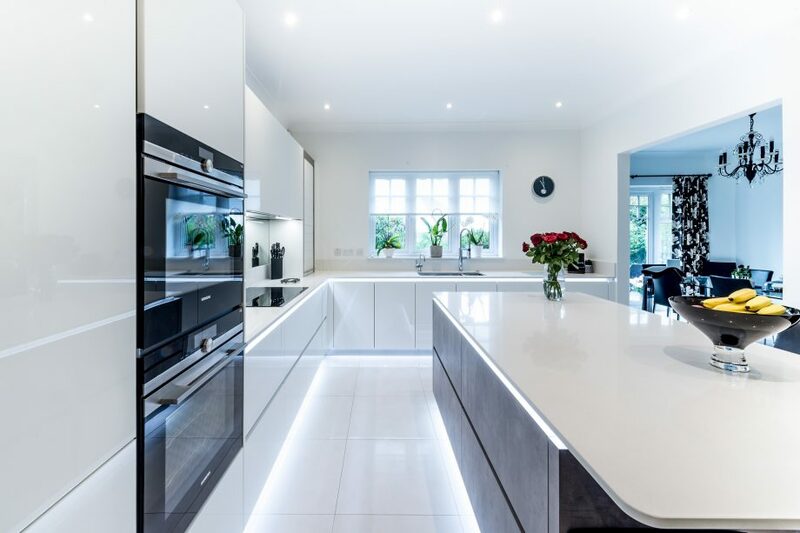 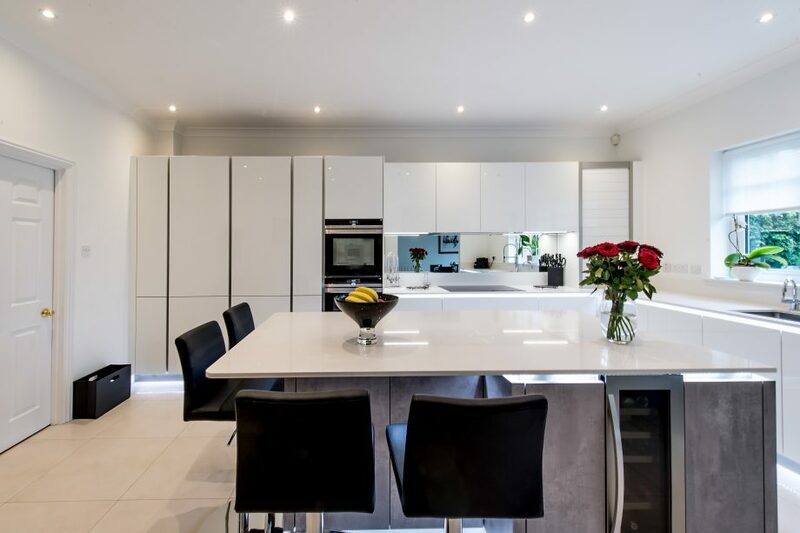 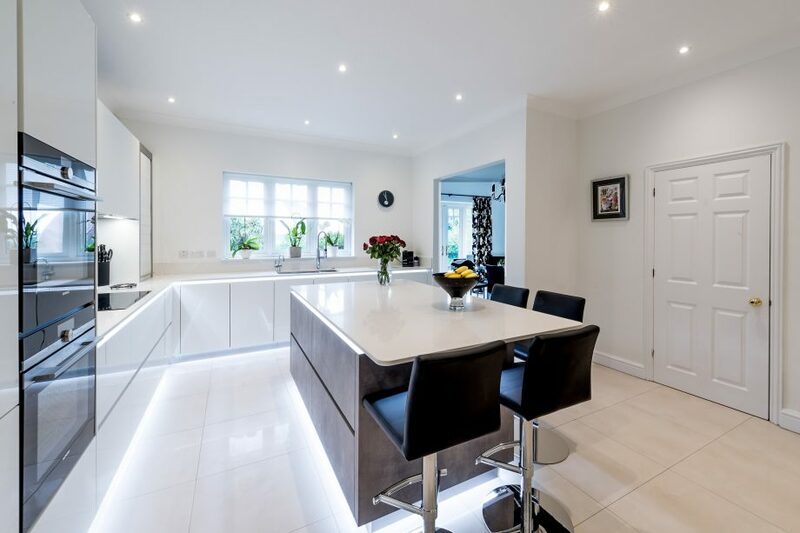 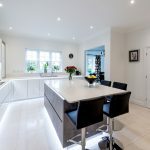 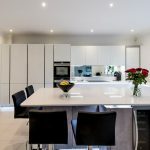 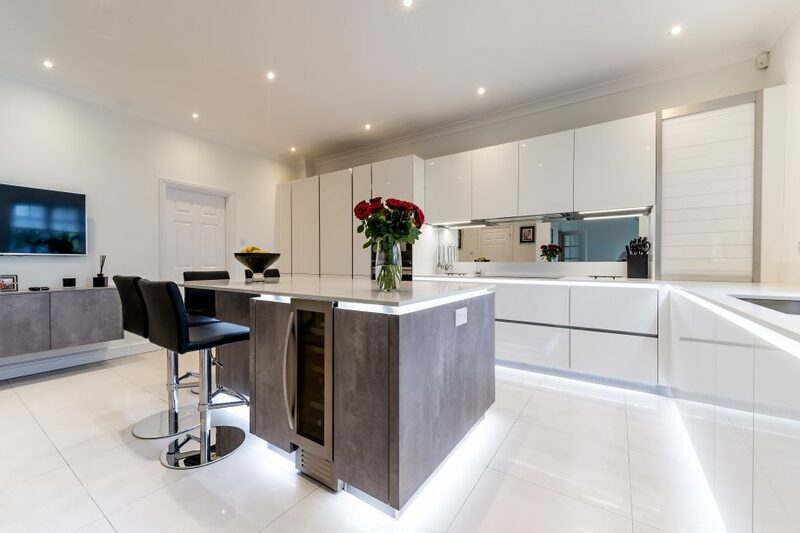 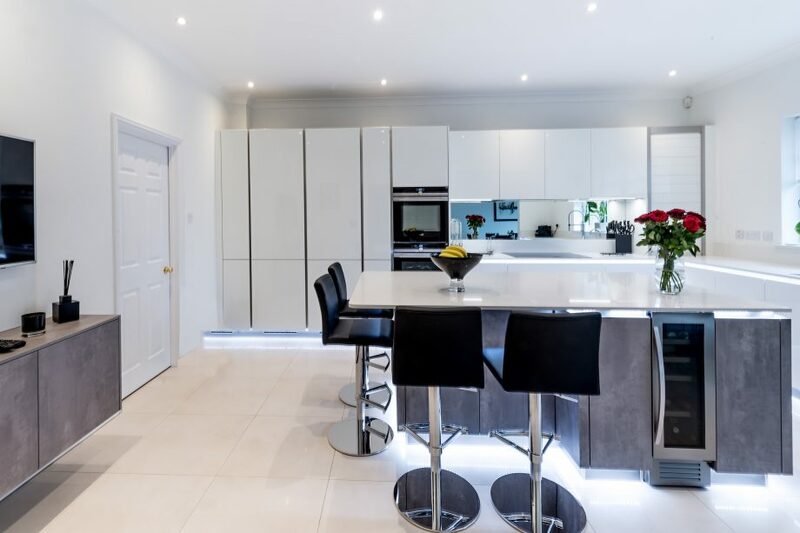 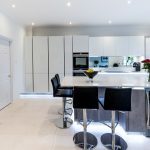 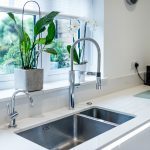 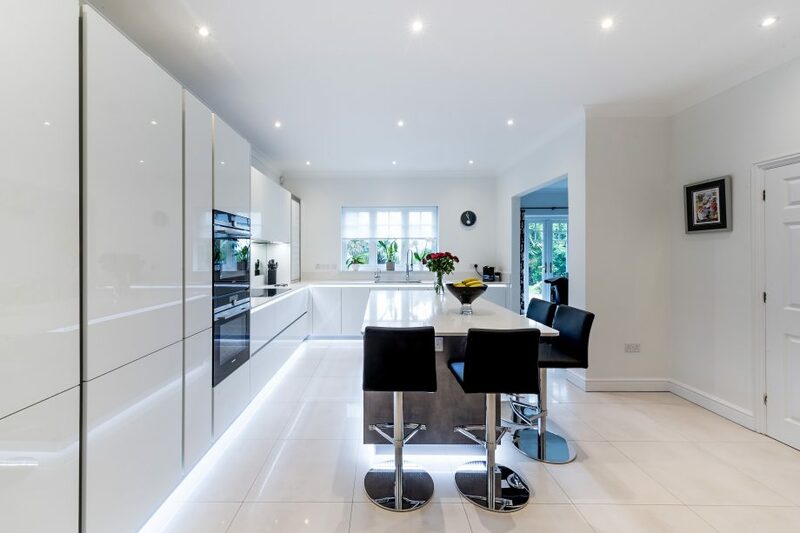 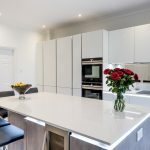 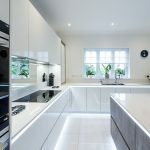 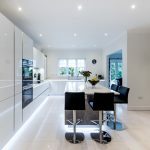 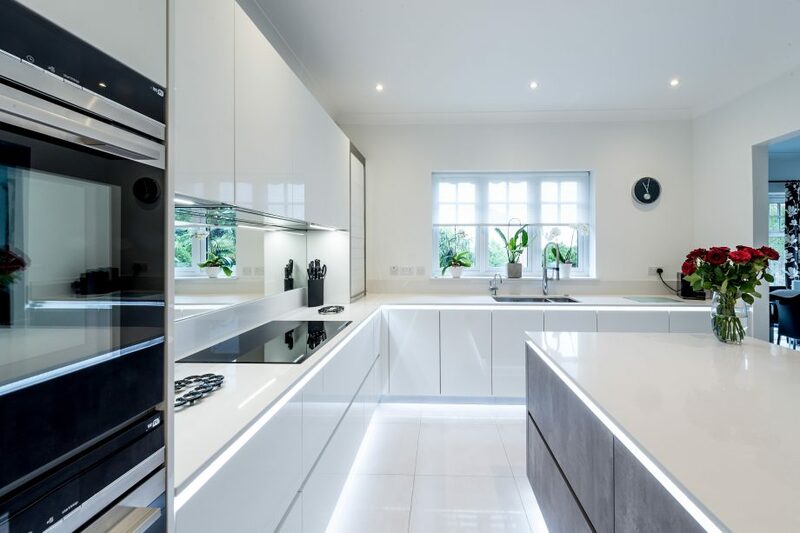 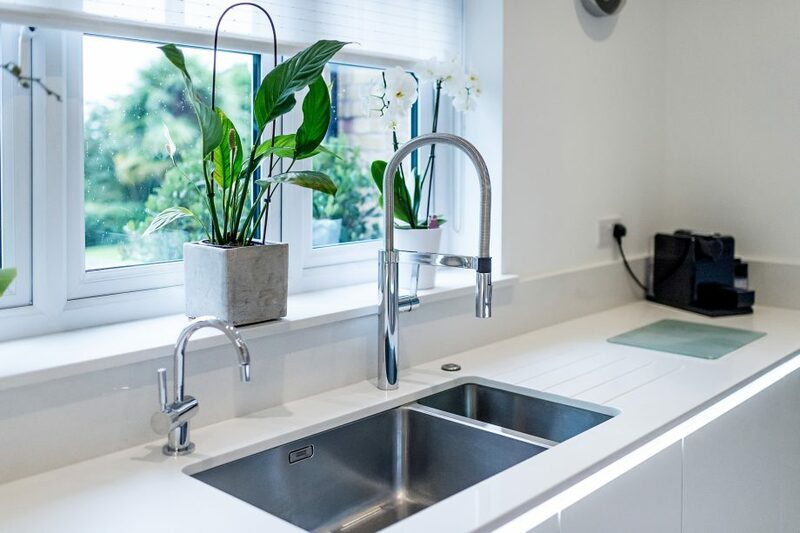 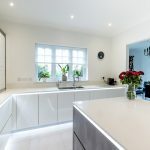 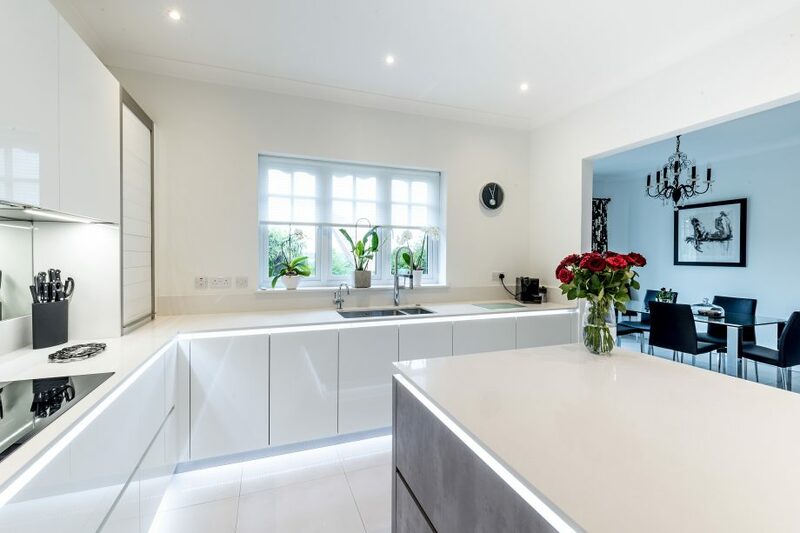 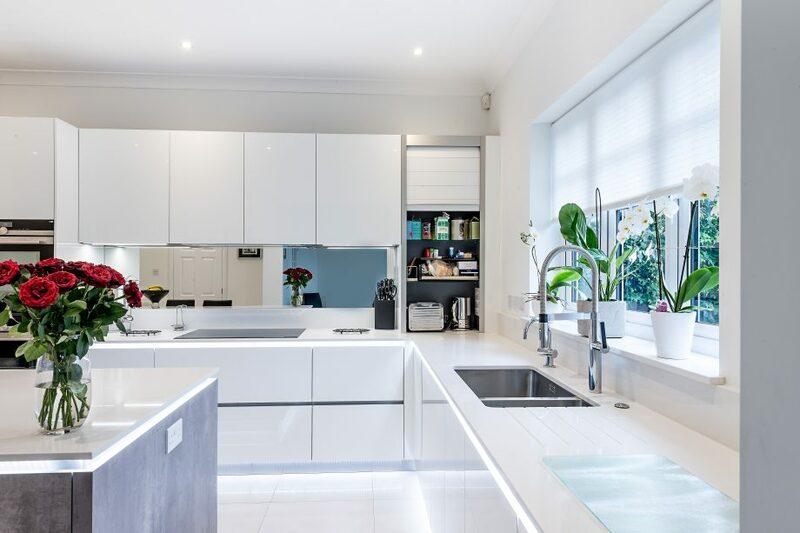 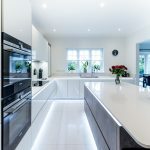 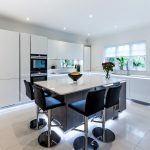 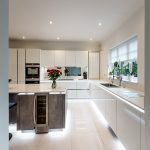 This amazing kitchen in Arkley, comprises of Putty Pearl Grey and High Gloss White furniture, complimented by a quartz, Snow Storm worktop. 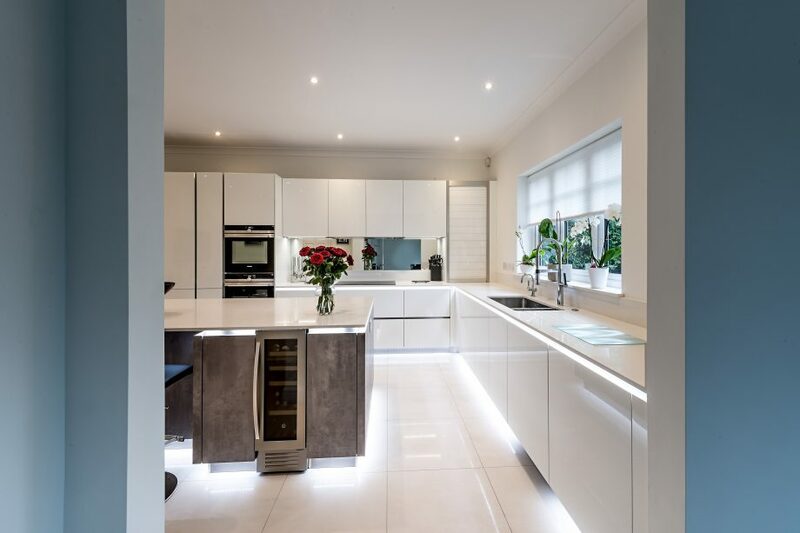 Our customers were particularly happy with the Putty Pearl Grey island, which they did not initially think would work in their kitchen. 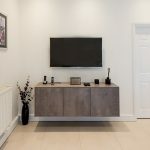 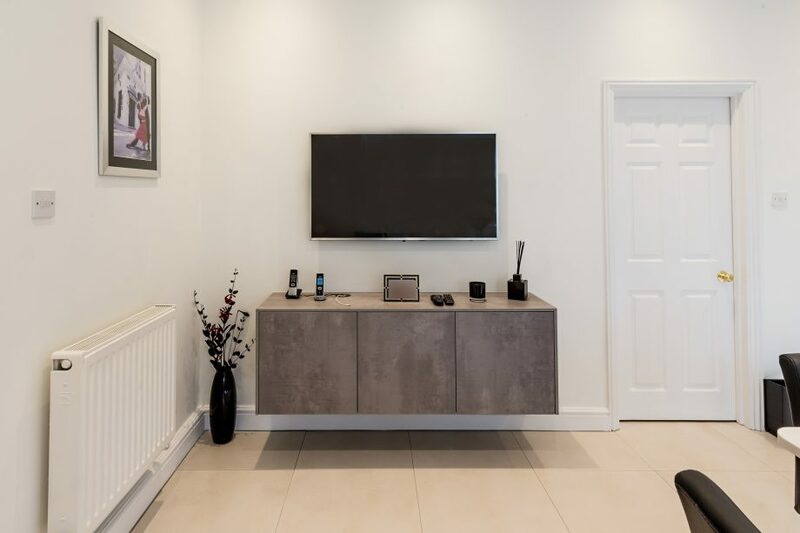 We also installed the TV unit, in matching Putty Pearl Grey. 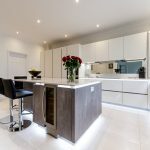 The whole look is completed with Siemens appliances, Blanco taps and a Caple wine cooler.